I am thinking that this should not be about vampires. Perhaps time travel? 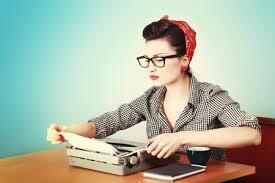 I was recently asked to give feedback on an unpublished manuscript of another emerging writer. I was told the MS was complete and ready to send out on queries. I was mortfied because now I was faced with having to tell an emerging writer (a complete stranger, no less) exactly what was wrong with her draft. It particularly troubled me because she sent it around with the idea that it is ready to go out to publishers with query letters. Think about it: that means she either can’t see what is wrong, or she didn’t actually read her work. Either way: not good, amirite? I spent almost two hours writing comments in MS Word track changes just on the summary and the first chapter. To do that for the complete MS with these sorts of problems goes way beyond doing someone the favour of beta-reading something that is query-ready. (I can read an entire 250 page MS of light fiction in about two hours, and then write an overview with suggestions in about 30 minutes plus a little wool-gathering time). I’m not even a particularly diligent proofreader (as anyone who reads my posts or my first drafts knows), so it’s not like I was spending that time inserting Oxford commas and debating the merits of colons vs. semi-colons or n-dashes vs. m-dashes with myself. What that means is I had to write the second most difficult email of 2014 telling this person what was working (a short list) and what was not (a much longer one). I think I was as kind and supportive as a person can be. Bleh. Just to share some of what I experienced, a quote follows. Note that this is not intended to mock or belittle this other writer. I think it’s more a cautionary anecdote about the importace of second (and third) drafts. She shoved the last bite of the sandwich she had thrown together in her mouth and hurried from the kitchen. 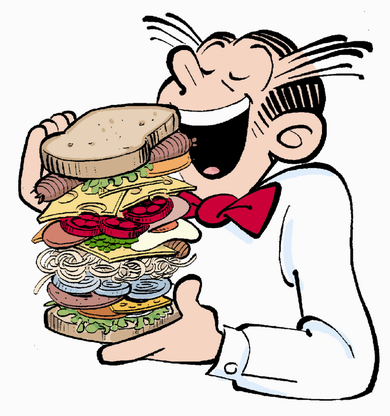 I have a very cartoon-like image in my mind right now that involves a cantilevered, unhinging snake’s jaw and Dagwood sandwich fixings. Neat trick if you could do it; fewer dirty dishes. 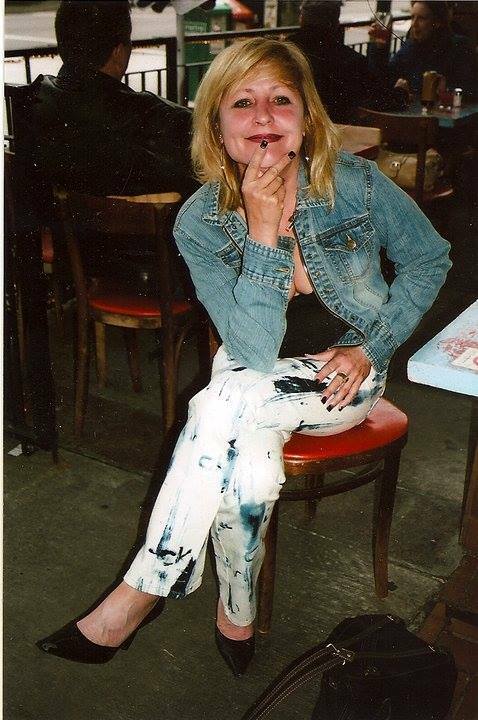 My friend and writing mentor Valerie B.-Taylor passed away earlier this month. Tonight’s Surrey Muse is in her honor. Click the link below for details. The graves lay under the trees like wolves. I spend the better part of most days reading and writing. In recreational reading alone, I average about 150 hours per month. (How do I know? My e-reader software actually tracks my reading hours.) When the time I spend reading things like paper books, the Interweebs, and work documents is factored in, I think the grand total would be closer to 275, or maybe even 300 hours a month. Recently I performed a thought experiment on myself: if I had a whole day during which I had lost the ability to read and write, how would I spend it? What would I do all day? First, I would use my voice-command smart phone to call in sick to work. “I’m sorry; I am unexpectedly unlettered, so I will not be in. I’ll be back to work soon with what I hope will be a written note from the doctor . . . you’ll have to tell me”. I think one unlettered day would likely be manageable. Not a pretty picture, I know. If you had to spend one day without the ability to read, how woudl you spend it? Juggernaut – a massive force that crushes everything in its path. Derived from the Hindi name Jagannath, one of the avatars of Vishnu, Lord of the World. Prestidigitation – slight of hand. Cobbled together from the French word preste (nimble), the Italian word presto (quick), and the Latin digitus (finger). Nimble Quickfinger! Nimble Quickfinger would be a great name for an androgynous, sexually voracious pickpocket in a high fantasy setting. Nimble Quickfinger, the scourge of all the brothels in King’s Landing! (apologies to George R.R. Martin). I only recently learned the word “endentulous”. I couldn’t sleep and was reading some City of Vancouver coroner’s reports on the Interweebs. (Yes, this is one of the many creepy things I do in the middle of the night; nevertheless, I am mostly harmless). The person who died was referred to as “endentulous”. Note to self: save enough money so that when I am old I can live in a care home with properly trained staff. What happened to this individual because he had no teeth and was being fed by caregivers who did not have the correct skills was awful. If you want to know, I will tell. Ok, vacation is over, time to get back to blogging. Stop screwing the pooch, Chloe.